Over the last decade the snacks pellet market has grown massively worldwide and Dingrun have played a major role in being able to supply equipment incorporating the latest technology in the field of snack pellet processing to meet the exacting standards of our customers around the globe. There are many different raw materials which can be used for pellet production such as; Potato, rice, maize, wheat, corn etc. The pellets are divided into two basic categories, those made from grain (rice, maize, wheat, corn) or those made from potato. The latter being the only one to give the authentic potato taste to the finished product. 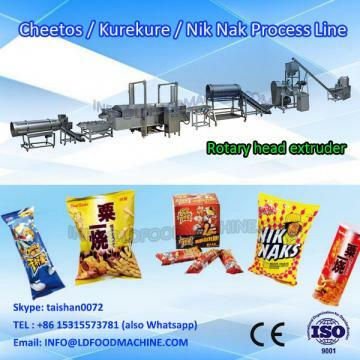 Pelletised snacks are produced when the raw material is extruded into a recognisable shape, this can be done using a process known as direct expansion or alternatively using a process known as indirect expansion. 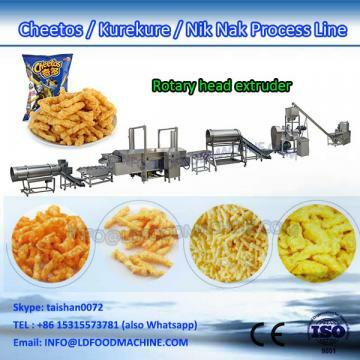 This line can be used to produce 3D pellet snacks. 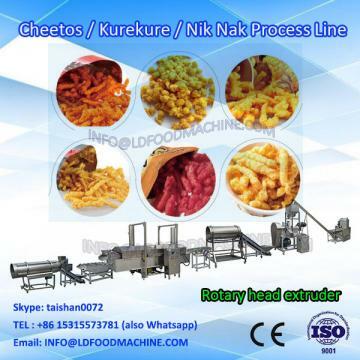 Potato starch, corn starch, cassava starch, wheat flour etc. All the machines are made by Stainless steel. We can produce in your requirement. Chinese Input Voltage is 380V/ 50Hz /3, If it is different from yours, we will adjust it.